If you have cardiac sarcoidosis and suffer from heart failure, you more than likely have an implanted cardioverter defibrillator, or AICD. Living with a defibrillator has it’s limitations and dangers. One of the main issues is the viability of the leads that go from the device to the heart. A few years ago there were multiple deaths associated with a Medtronic device that had faulty leads that had to be pulled off of the market. Medtronic now has in development a leadless defibrillator that would eliminate that major issue of faulty or broken leads. 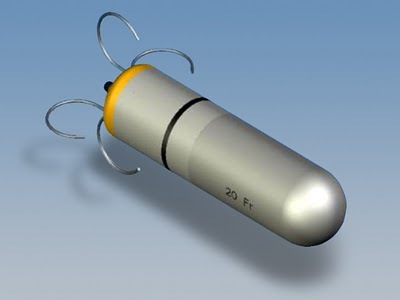 This device would be implanted directly into heart’s chamber via catheter, eliminating having to have the surgery to implant the device into your chest. Nice not to have leads, but the thing is, unlike the current models that they surgically replace when the battery dies, this new device will have to be left in the heart when it dies. There is also a chance of the device dislodging and entering the blood stream. It’s a nice idea, and I am sure in years to come it may become the standard, but for now, I think it is a mighty risky prospect. Next Post How Much Caffeine Are You Having?